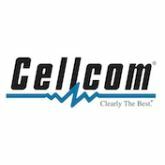 Small Midwestern cell phone carrier Cellcom announced yesterday that they will be offering the Apple iPhone 5 on their network. The smartphone will be available as of today. According to Cellcom, the iPhone 5 will be available for $149 for the 16GB model, $249 for the 32GB and $349 for the 64GB model. The phone will available at all Cellcom agent locations and retail stores. The iPhone 4S will continue to be available for $49 and the iPhone 4 will be available for free. The network will allow any iPhone 5 users to connect to their 3G network. The iPhone 5 does require activation via one of Cellcom’s family or individual data and voice plans. iPhone owners can choose from 4 different plans. The most basic costs just $69.95 and includes unlimited texting and 200 anytime minutes. The most expensive of the plans comes in at $109.95 and includes 2,048 MB of data as well as unlimited text and voice. Of course as with most carriers, all plans come with a mandatory, minimum two-year contract.